Thanks for allowing us to spend a week of camp with your child. We love to prepare for camp because of the awesome impact just one week can have in the life of a camper. 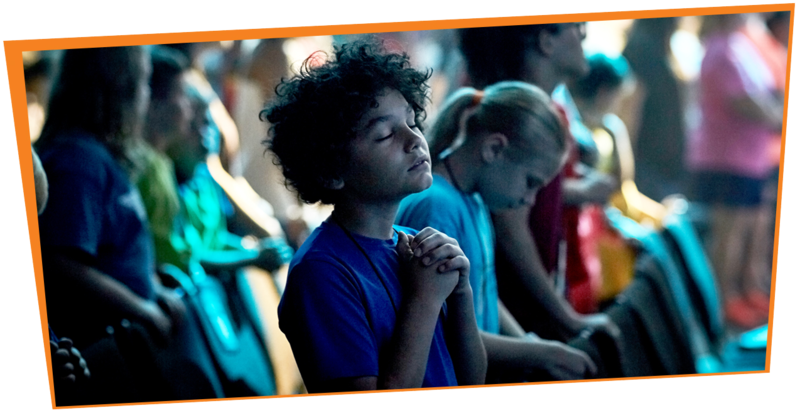 The focus at CentriKid is all about making sure no child leaves camp without a life-changing encounter with Christ. CentriKid staff and your church leaders will spend the week helping kids at camp understand that God has a redemption plan for us and desires a relationship with us. Don’t forget to label everything! The Camp Store will have more items than we’ve ever had before! Many items will be specific to a camper’s team color so he/she can fully support the team throughout the week. Prices for store items will range from $1-$15. Send your camper a package of camp gear! Camper Care Packages can be ordered here between February 1-June 1, 2019. WANT TO GET A GROUP PICTURE? On Day 1 during Check-In, each group will take a group picture in their camp t-shirts. The cost is $7 each for an 8X10 photo. Make sure you tell your group leader if you want a serious group photo or a funny one. CAMP STORE CARDS COME IN INCREMENTS OF $5, $25, and $50. Parents worry about kids losing cash or spending all their money on cokes or candy, so we are giving you the option to buy a Camp Store Card for your camper. Store cards can be used on any items in the CentriKid store, or given to the missions offering. These are only good for the camp store and will not be able to be used at other stores on campus. The camp store cards are only good for this cycle of camp. We’re not able to carry the balance forward to next year. Anything left-over will be put into the missions offering for the summer. Let your Group Leader know which Camp Store Card, Photo, and Camper Care Package you are wanting to order for your camper. You will pay your Group Leader before they leave for camp, then they will make one payment at Check-In.